Iran is a part of the arid and semi-arid regions of the world and many of its areas suffer from repeated droughts. Due to the fact that recent droughts have put a lot of pressure on water supply systems, drought management have a particular importance. For this purpose, monitoring and forecasting systems can be considered as appropriate tools. 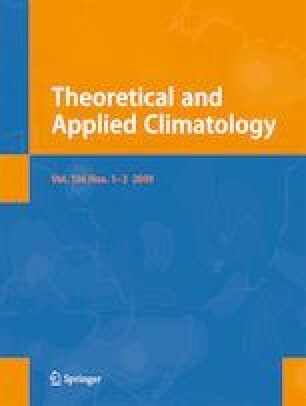 In this research, monitoring and prediction of drought in the Urmia synoptic station in short-, medium-, and long-term timescales were investigated using the SPEI (standardized precipitation and evapotranspiration drought index) and gene expression programming model. For this purpose, the SPEI was calculated for timescales 1, 3, 6, 12, 24, and 48 months with using monthly rainfall and temperature data from 1951 to 2009, and its performance was compared with standard precipitation index (SPI). The results showed that the correlation coefficient of SPEI and SPI in the 3-, 12-, and 48-month timescales were 0.84, 0.845, and 0.776, respectively. The monitoring results showed two long periods of drought-related years 1959–1967 and 1998–2009 during the statistical period. After drought monitoring based on SPEI time series, drought was predicted using gene expression programming models with delays of 1 to 5 months. According to the results, the prediction accuracy was increased by increasing the scale of SPEI so that the correlation coefficient in the test stage in the one-month scale (SPEI1) increased from 0.215 to 0.984 in 48-month scale (SPEI48) and the overall accuracy of the model increased from 60.1 in SPEI1 to 92.3% in SPEI48.